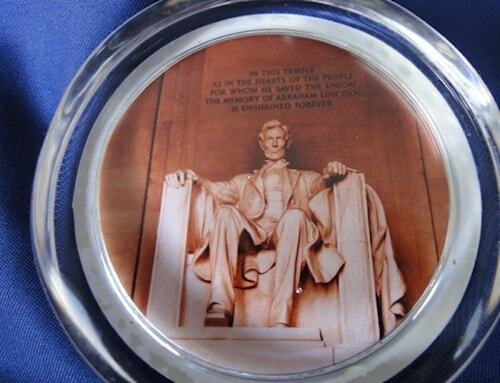 Lincoln Memorial Paperweight. President is seated. 3.5 inches. Tempered glass with felt backing. 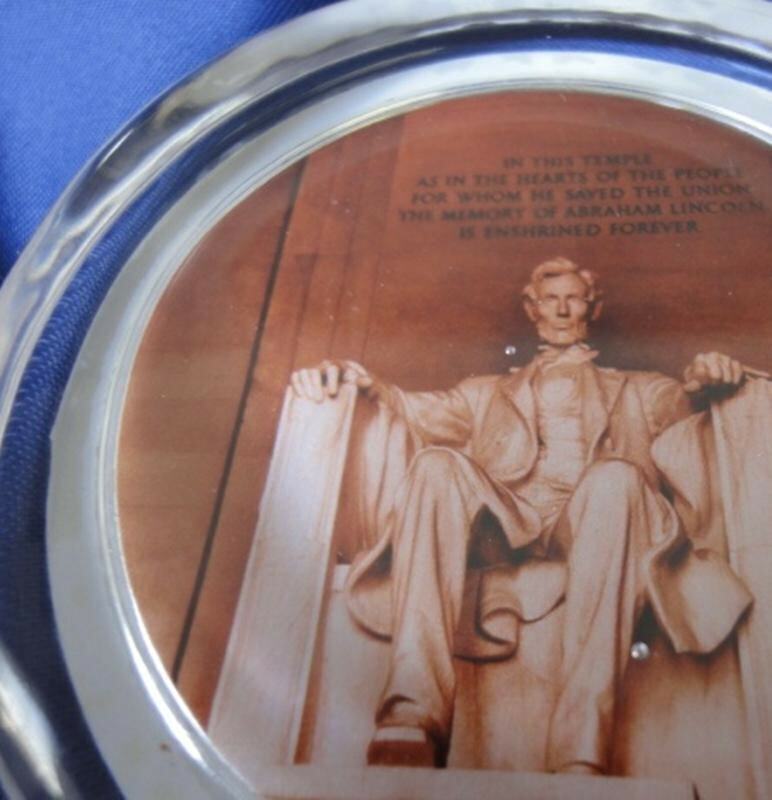 Educational text on back. Boxed.